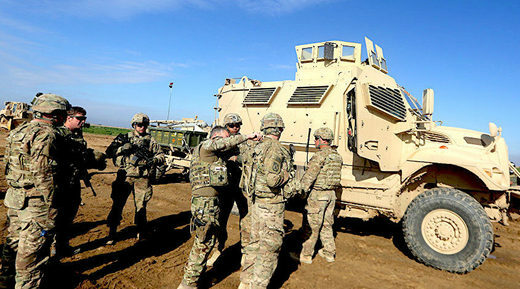 The US military are planning to keep nearly 1,000 troops in Syria, the US-based media reported on Sunday, citing US officials. According to The Wall Street Journal, Washington plans to continue supporting Kurdish forces in Syria despite the threats from Ankara to launch a military operation against the Kurds in northern Syria. Sources told the media outlet that these plans require to keep nearly half of the current US military contingent in the country. However, Joint Chiefs of Staff Chairman Gen. Joseph Dunford denied the accuracy of the media report. According to the Pentagon, “there has been no change to the plan announced in February” and the US continues to implement the president’s order to pull out US forces from Syria.